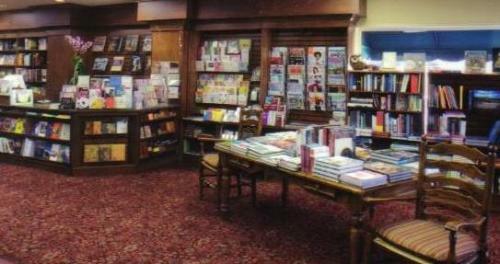 We have an extensive inventory of new books, best-sellers, magazines, audio books, stationary, journals, calendars, games and puzzles. Browse our selection of fiction, non-fiction, history, travel, poetry, children's, young adult, interior design and architecture. We special order or attempt to locate any new, used or out-of-print books for you. 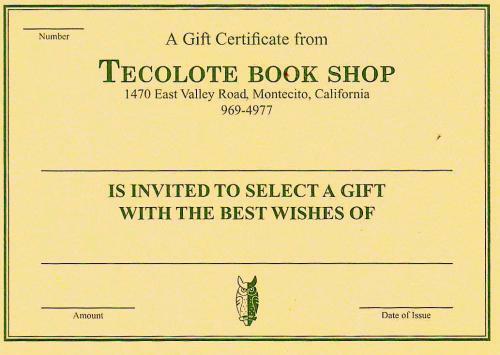 Tecolote offers gift certificates in any amount for any event. Shipping Any purchase through our store, by mail, or by phone can be shipped anywhere in the United States or around the world. All books are shipped in protective mailers.